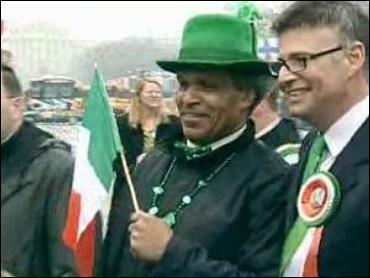 Sunday was the 236th St. Patrick’s Day Parade in Philadelphia. 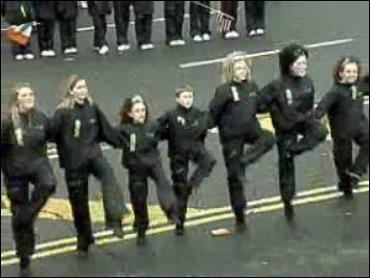 There was a little rain but that was not enough to damper the Irish pride and spirit that was on display. Singing also took center stage at the parade. 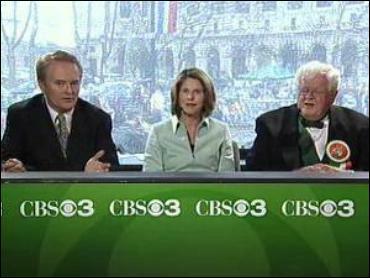 Larry Mendte, Kathy Orr, and James Kilgallen hosted the parade on CBS 3. 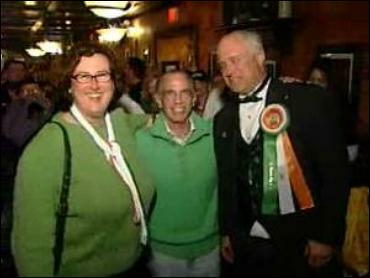 This woman who talked to Bob Kelly had four generations of her family participating in the Irish Parade. 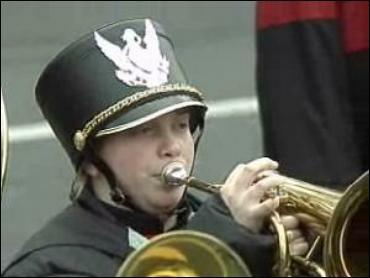 There was plenty of music played at the parade. 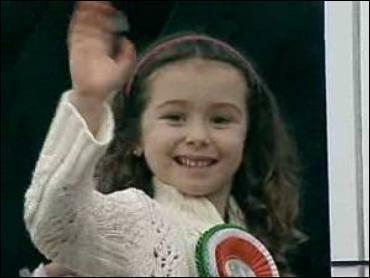 This little girl seemed to be enjoying herself and waving hi! A thumbs up means this gentleman is having a good time. 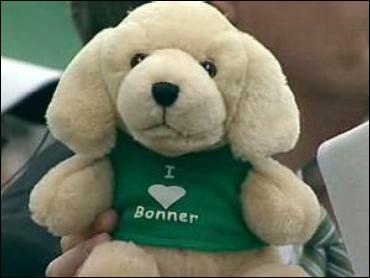 Even this bear had the Irish spirit for the parade. 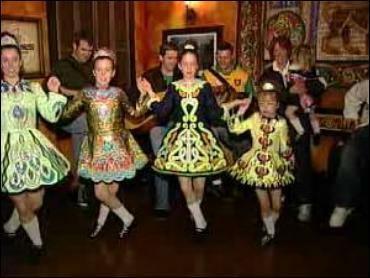 Keeping with Irish tradition, there was plenty of line dancing. A band was in full swing for the festive day. and the young at heart! 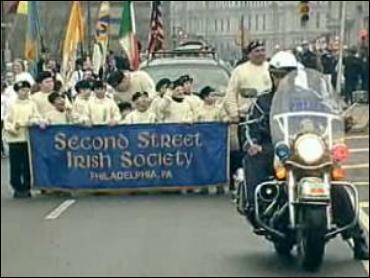 The Second Street Irish Society marched down the parkway. CBS 3 anchor Susan Barnett tried her hand at playing the flute. 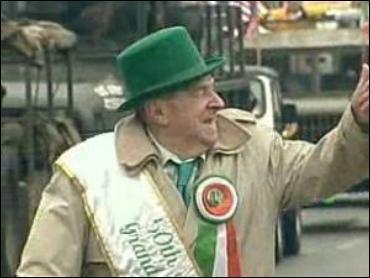 Even Philadelphia Mayor John Street donned his favorite Irish apparel. The Art Museum made for a wonderful backdrop for the parade. 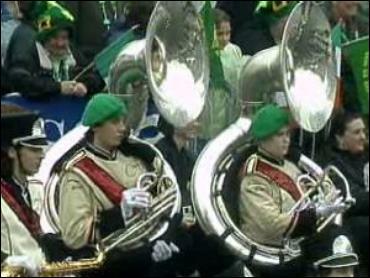 Bands played a big role in the parade. 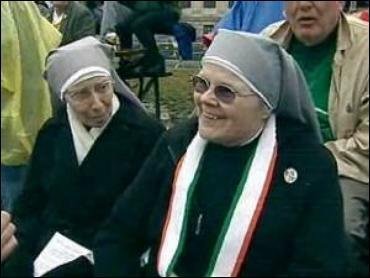 These two ladies enjoyed the parade from their prime viewing seats. CBS 3's News Director Susan Schiller and President and G.M. 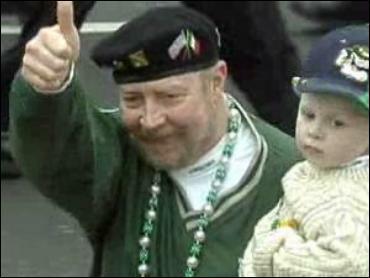 Michael Colleran pose for a picture at Kildare's after the parade. 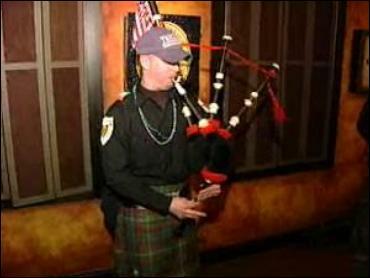 With any Irish party, a bag pipe is a must. This group of young ladies did some line dancing at Kildare's. 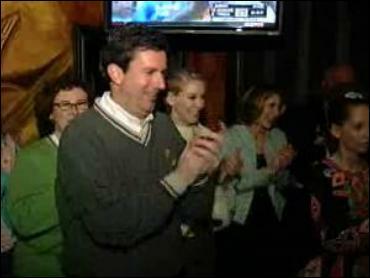 CBS 3's Bob Kelly took in the line dancing at Kildare's. 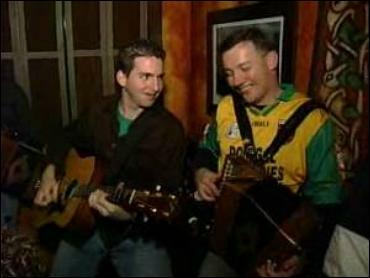 These two fellas keep the after party going. The line dancing was a constant sight throughout the day. 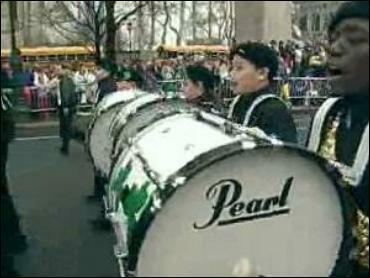 (CBS 3) PHILADELPHIA CBS 3 was proud to bring area viewers the 236th St. Patrick's Day Parade, the second oldest parade in the country on Sunday, March 12th. 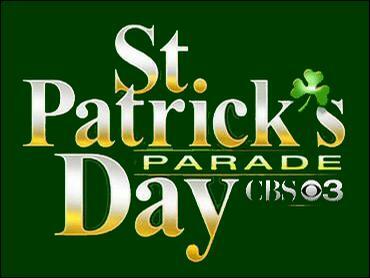 The Parade will be rebroadcast on St. Patrick’s Day, Friday, March 17th, 12 noon to 3 p.m. on sister station UPN 57. 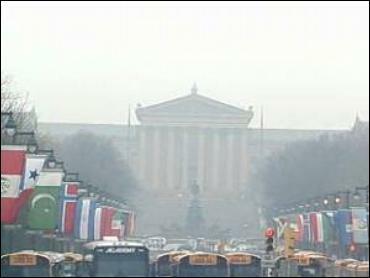 CBS 3 Anchor Larry Mendte and Meteorologist Kathy Orr hosted the parade coverage from the reviewing stands on Logan Circle along with James Kilgallen, color commentator. 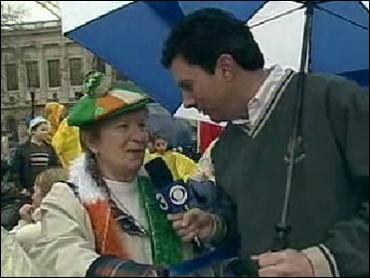 Morning Anchor Susan Barnett and Traffic Reporter Bob Kelly reported on the annual spectacle from the Parade route. Pat Ciarrocchi, Jim Donovan, Angela Russell, Stephanie Stahl and Brooks Tomlin of the Eyewitness News team also participated in the Parade by riding in a float along the route. UPN 57’s U-Crew, Justin Dugan, Ashley Harder and Sean Scott, also made an appearance in the Parade. 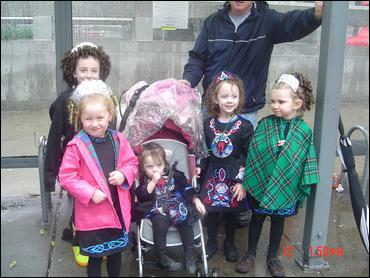 More than 150 marched in the Parade, including high school marching bands, Irish dancers, Irish cultural groups and various divisions of the Ancient Order of Hibernians. 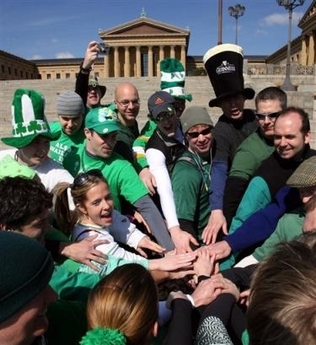 “Few people realize that the tradition of St. Patrick’s Day celebrations in Philadelphia, dates back to colonial times,” says CBS 3 and UPN 57 President and General Manager Michael Colleran. 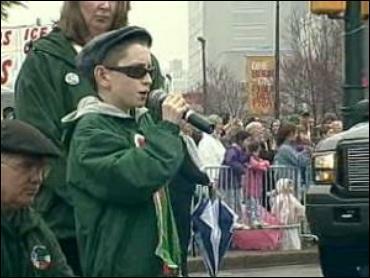 “We are delighted to broadcast this time-honored parade twice, live on CBS 3 and again on St. Patrick’s Day itself on UPN 57.” Colleran also adds, “CBS 3 and UPN 57 are happy to announce the extension of our contract with the St. Patrick’s Day Observance Association to continue broadcasting the Parade through 2009.” The station is currently in year three of a three-year deal. 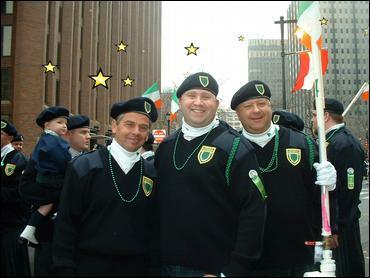 This year's Parade theme was "St. Patrick, Bless the Irish and their Descendants, Who Have Made Great Contributions to America.” The Grand Marshall of the Parade is Tommy Moffit, long-time parade commentator. 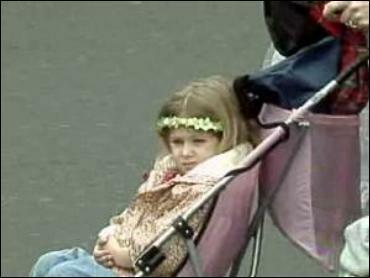 The Parade began at Broad Street and Washington Avenue in South Philadelphia, proceed North on Broad to City Hall, go around City Hall on the East side, West on J.F.K. Boulevard to 16th Street, North on 16th Street to Benjamin Franklin Parkway, then West on the Parkway to Logan Circle. 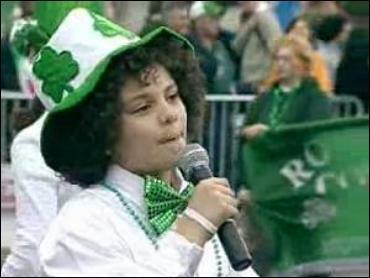 The St. Patrick’s Day Parade telecast was presented in part by Kildare’s Irish Pubs, IBEW, Rosenberger’s Green Tea and Winner Automotive Group.